Vietnam reaches 41 out of 100 points and stood at the fourteenth position in the list of cloud computing coverage in 2018. 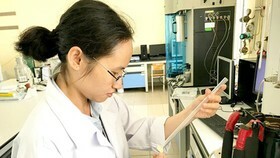 The expense rate on cloud computing in Vietnam from 2010 – 2016 increased by 64.6 percent, the highest in ASEAN, signaling that the model of cloud computing (Cloud) has prevailed over tradition models of information technology (IT). 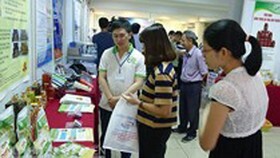 Viettel IDC (a member of the Viettel Military Industry and Telecoms Group) organized a seminar in Hanoi on July 16 with the topic ‘Cloud Computing – Foundation for Industrial Revolution 4.0’. 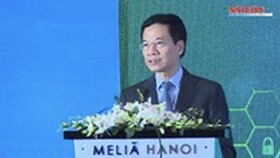 In the seminar, the representative of Viettel IDC reported the overview of contemporary trends in the world and in Vietnam regarding cloud computing as well as barriers that are preventing many enterprises and state offices to move their IT systems to Cloud – one of the primary factors to participate in Industry 4.0. Statistics show that Vietnam is the country that has the highest rate of expense increase on Cloud in the period from 2010 – 2016 (at 64.4 percent per year), higher than the average figure of the whole ASEAN (49.5 percent). It also takes 41 out of 100 points and stood at the fourteenth position in the list of cloud computing coverage in 2018. 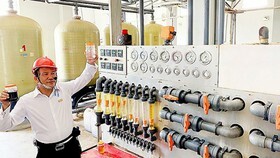 This means the Cloud model is dominating the market in Vietnam and is expected to have more powerful development. However, compared to other countries, the expense on Cloud in Vietnam is relatively low ($1.7 per year in 2016), 107 times, 6.5 times, 2.4 times, and 1.3 times less that that in Singapore, Malaysia, Thailand, and the Philippines respectively. As surveyed by Viettel IDC, when applying Private Cloud, businesses can save up to 40 percent of its initial overhead cost and reduce 4 to 6 weeks in the implementing time while completely erasing the cost for human resources to operate and maintain the system. 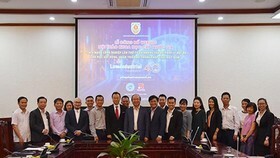 Mr. Nguyen Tien Dung, Director of Viettel IDC, shared in the seminar that when talking about Industry 4.0, people usually mention the concepts of four major technologies, namely Cloud, IoT (Internet of Things), Big Data, and AI (Artificial Intelligence). Among them, Cloud is the basis of all since all applications of the other three require Cloud as the infrastructure to run. 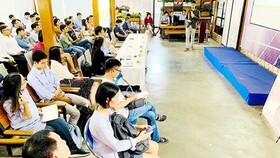 As predicted by Viettel IDC, in the next 2 to 3 years, Cloud will impressively blossom and become one very critical factor for Vietnam to take part in the Industry 4.0. 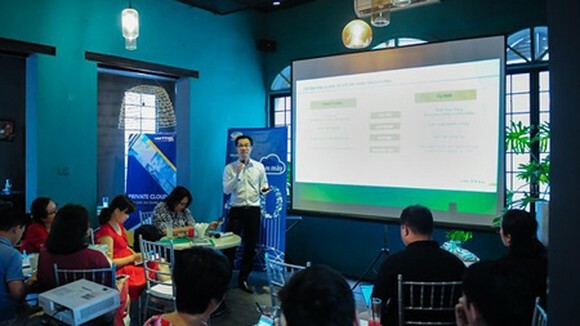 Viettel IDC is the first in Vietnam to deliver Cloud service and thus, it has taken the largest market share (accounting for 23 percent) with more than 3,000 customers and a development rate of 100 percent annually. 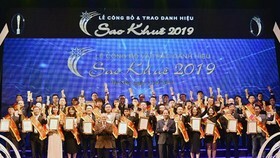 It was the only domestic unit to receive the Certificate of Enterprise Service Provider of VMWare (a subsidiary of Dell Technologies that provides cloud computing and platform virtualization software and services). 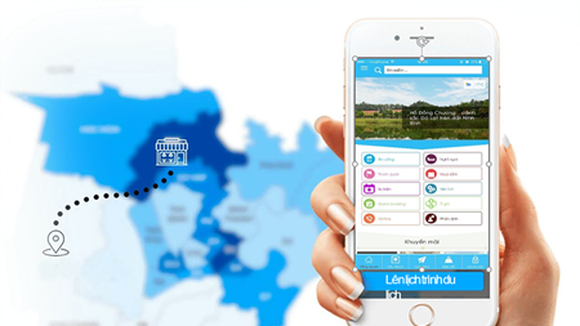 At the moment, Viettel IDC is the only supplier in Vietnam that can deliver a full service ecosystem for customers, from computing, networking, storage security, managing services, to disaster recovery as a service, and other similar services. 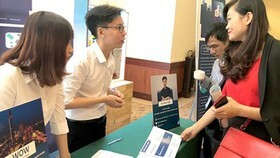 Most Vietnamese enterprises and giant organizations as well as leading international businesses of digital content are its customers.